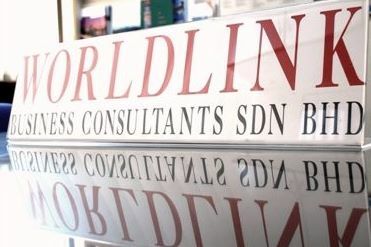 Worldlink group is associated with both individual companies and an impressive network of international contacts in legal, financial, trade and business circles specially catering for the growing demand for professional advice pertaining to clients&apos; businesses. Our group offers a Total Package by providing you with the essential information, contacts and expertise to reach your goals. We believe that the right contacts will opens the doors to a successful business. By working with us, we will connect you and your business with a vast yet established network to increase your business opportunities. Worldlink will be pleased to advise and assist you in becoming a forerunner in a broad range of services and locations. Worldlink is the answer for every business person who wishes to explore abundant business opportunities in the region. We provide a wide range of business and professional services which would relieve you of much of the administrative and logistic hassles of doing business in the region. Worldlink is your convenient link to the region. We offer clients a Total Package by providing them all the information, contacts and expertise essential for the attainment of their goals. Our multitude of services is tailored to suit your business needs either in Malaysia or overseas. We provide a corporation like yours to use and enjoy the facilities of a complete office without having to make a long term commitment on capital, investment in space, equipment and professional staff. Our concept of One-Stop Centre will allow our clients to gather all information on business opportunities and other relevant requirements to start business in the region. We render support and services to cater to your essential needs.